Monthly tornado siren test set..
MTSU invites public to 9/11 Re..
MTSU will help jump-start the fall 2018 semester on Wednesday, Sept. 12, with a motivational speaker aimed directly at the college audience and students’ success. Jullien Gordon will speak on “The Other 4.0 That Matters” at 3 p.m. Sept. 12 in the State Farm Lecture Hall of the Business and Aerospace Building. His talk is free and open to the public. Gordon, chief executive officer of www.masterminds.org, will discuss how to maximize the college experience and, by doing so, leverage career success. A business coach who specializes in helping entrepreneurs and organizations improve their groups, Gordon has worked with Fortune 500 companies such as Pepsi, PricewaterhouseCooper and Johnson & Johnson. The six-time author and five-time TED speaker has been featured on the MSNBC and Fox television networks and in Forbes and Black Enterprise magazines. 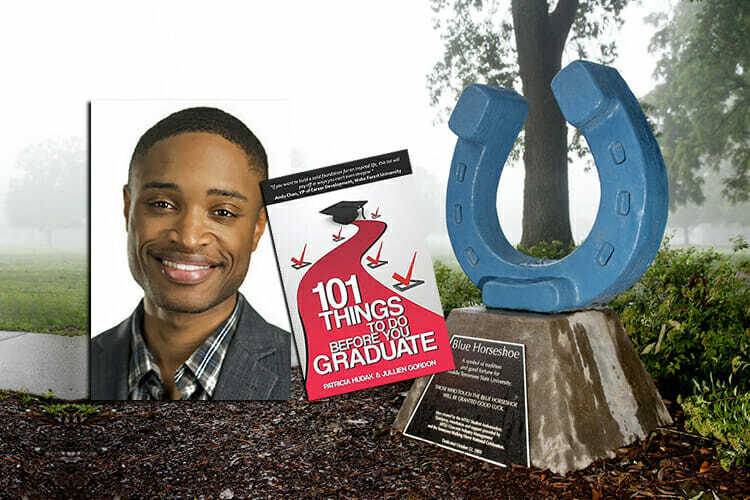 Organizers of Gordon’s visit say he’ll be giving away copies of his co-authored book “101 Things to Do Before You Graduate” during his talk. MTSU’s Distinguished Lecture Fund, the University College, the Department of University Studies, MT Engage, the Student Government Association and the Center for Student Involvement and Leadership are sponsoring Gordon’s lecture. Off-campus visitors attending the event should obtain a special one-day permit from MTSU’s Office of Parking and Transportation at 1403 E. Main St. or online at www.mtsu.edu/parking/visit.php. A searchable campus parking map is available at http://tinyurl.com/MTSUParking. For more information, contact Dr. Cornelia Wills, director of student success, at 615-898-5025 or cornelia.wills@mtsu.edu, or Dr. Mary Hoffschwelle, director of MT Engage, at 615-898-5806 or mary.hoffschwelle@mtsu.edu.